Massachusetts, unlike many states, elects its Treasurer. The office merits decision by the voters. The Treasurer oversees the billion-dollar state lottery; invests the state’s money; guides state workers’ pension funds and retirement accounts; and collects unclaimed property accounts, monies that can amount to hundreds of millions of dollars. For the past four years, Steve Grossman has held the office. He has made it an activist, innovative position : one of his most significant moves was to invest the state’s money accounts in Massachusetts banks only and require them to extend lending to businesses (and start ups) owned by veterans, immigrants, women, and people of color. To succeed him, the ballot offers two choices, Democrat Deb Goldberg and Republican Mike Heffernan. Both are well qualified to manage money and investments as complex as the state’s. Heffernan, who lives in Wellesley, has been a securities analyst for at least 25 years and makes the state’s pension liability a top priority. Goldberg, a Brookline resident, is a member of the family that founded and, until recently, owned the Stop & Shop supermarket chain, for which she oversaw cash management and accounts. She also served as a Brookline selectwoman for six years and there acquired expertise in managing that wealthy town’s substantial fund accounts. 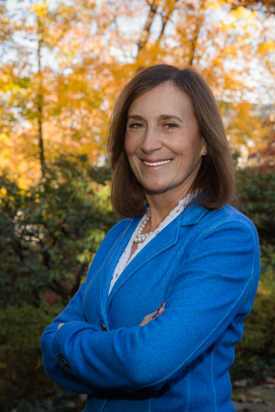 Goldberg’s selectwoman service accords her a slight edge over the well-spoken Heffernan, new to high level politics; but we are endorsing her for an entirely different reason. Because we endorsed Charlie Baker for Governor, and because the Governor and Treasurer both are given the task of directing the state’s income — the Governor formulating the budget and prioritizing spending, the Treasurer managing the income — we think it wiser to have the two offices held by citizens of different political parties. In the discussions that must take place between Governor and Treasurer on fiscal matters, it is vital that all the citizens be represented, not just those of one or the other party. Of course having Governor and Treasurer of different parties assumes that each cares for the interests of citizens more than for party interests. Baker and Goldberg both meet this test. One other factor influences our choice : Goldberg’s campaign has been assembled chiefly by labor unions; and labor unions have a major interest in seeing the state’s pensions and retirement accounts fully funded. Public worker unions have had to make concessions, in recent legislative sessions, on contributions to health insurance. It wasn’t easy; more concessions may be asked if our state’s economy doesn’t grow more capaciously. It’s important that the Treasurer have their full confidence. Goldberg has their confidence. She has the business clout to discuss investment and money management on a par with former Harvard Pilhgrim CEO Charlie Baker. She’s our choice for state Treasurer.